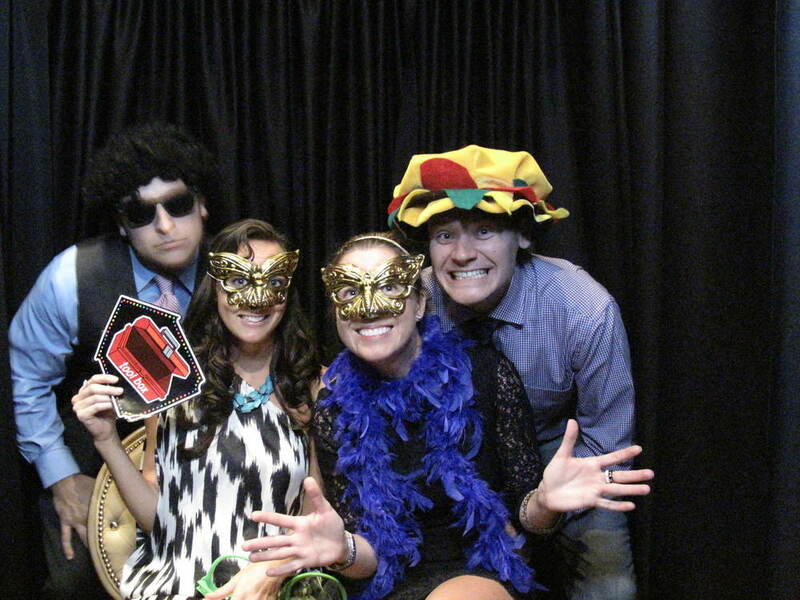 Snapshot Photobooths at Eagle Oaks! On November 10, 2012, Dana Jean and Jared tied the knot and had their wedding reception at Eagle Oaks Golf and Country Club in Farmingdale New Jersey. This elegant establishment is 60,000 square feet with a colonial style and feel. The happy couple provided their guests with a lounge series photo booth from SCE Event Group’s Snapshot Photobooth Division. 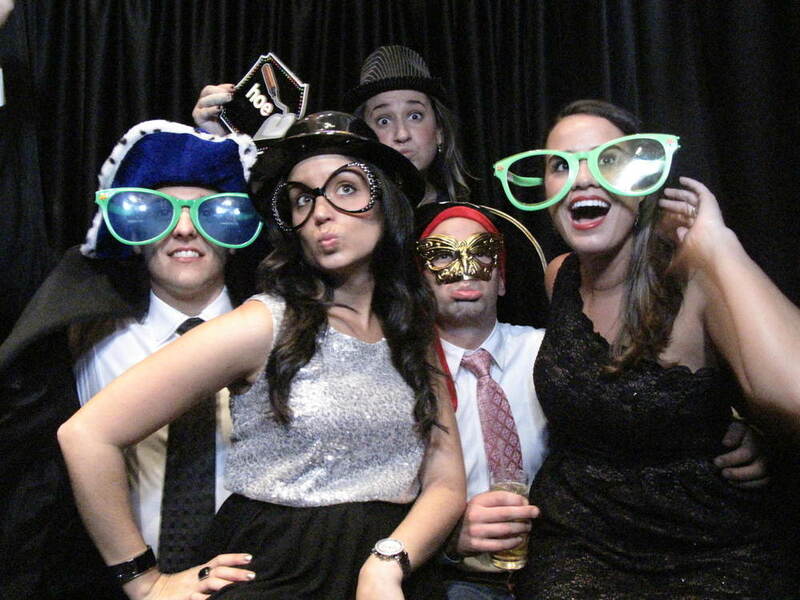 The lounge series photobooth is perfect for brides and grooms who want to take pictures with guests all night! Made up of pipes and drapes, the curtains are flexible to allow for great group shots, but also allows for intimate couple pictures as well. 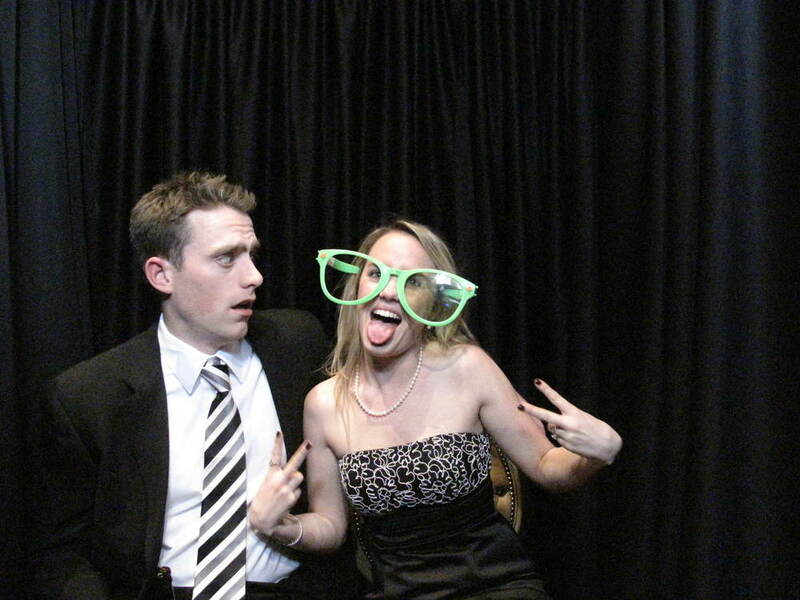 Dana Jean and Jared chose the Celebrity Photobooth package, which is the most popular for weddings. It included 4 hours of unlimited exposures. It also included a photobooth attendant who took care of setting up the booth and making sure it ran smoothly without a hitch, all night long. The attendant also distributed a copy of the photostrip to the guests in the booth and made sure to put the other copy in the scrapbook, which guests could sign. This photo booth allowed guests to take their pictures in either color or black and white images. They also had the ability to customize their photo strip. Dana Jean and Jared chose to put their names and date against a black background in order to create the perfect customized footer. The lounge series photo booth is available in multiple colors that can be coordinated with wedding colors and or themes; black, white, and chocolate. These colors can be complemented with a hint of silver, red, of even Tiffany blue to add to your venue’s decor. The possibilities are endless! If you are interested in having a photo booth at your next event, give us a call at (732) 272-1347 or check out or website at www.snapshotphotobooths.com ! Let us help you add a perfect enhancement to your already amazing day. Older PostSnapshot Photobooths’ Best Sale yet!